Gareth joins the AGS Group as of November 2015 in the capacity of Managing Director for AGS 360° Solutions. He has 10 years’ experience in the international freight and logistics industry, his last position being that of Group Development and Operational Manager for Sea-Cargo Norway. He has also worked as Procurement and Operations Director and Group Development, Sales and Operations Manager for Fischerblack International and Charles Gee Group respectively. Gareth has a proven track record in producing results, delivering projects to set time-scales and budgets. Gareth has integrated the AGS corporate culture through time spent in three AGS affiliates in Bucharest, Madrid and Singapore over the last 4 months. His peers gave him his induction and training in the Group’s methodology, processes and procedures. In this new role, his aim will be to drive new ideas and to support the existing AGS 360° Solutions team, ensuring the right practices and structure to address the challenges faced in the ever-changing industry. According to him, customer service and satisfaction remains at the heart of any future plans and he believes that the team spirit he has experienced will provide the basis for achieving this. In his spare time, this husband and father of two sons enjoys many sporting activities, especially football. He also likes to keep fit and participates in both on- and off-road motorcycling. Following from the appointment of Antoine Duquesnay as Manager and Director of Froesch Koblenz, Cédric Tavernier has been appointed to the position of Branch Manager for AGS Warsaw effective from October 2015 – officially taking over management of the branch in mid-November. Having graduated with a double-Master’s Degree in International Business and Finance, Cédric has been living and working in Poland since 2003 in Country and General Management positions. Before this, he had fulfilled a number of Sales, Business Development and Project Management roles in diverse industries in Ireland and France. He is able to speak French, English, Polish, German and Spanish. 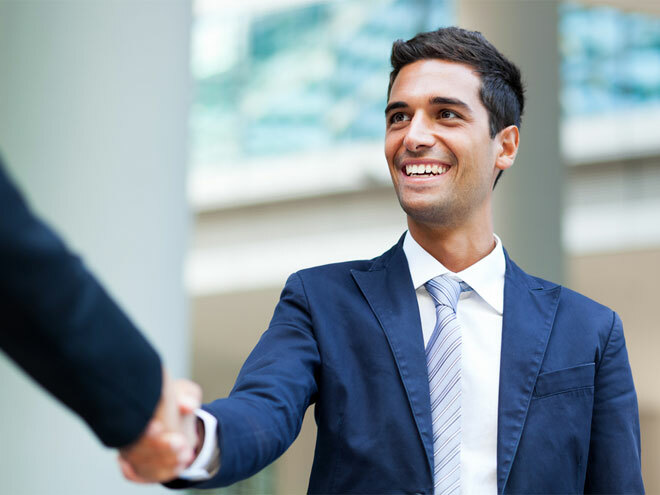 The opportunity to meet and interact with clients from various backgrounds is something that he really looks forward to in this role. He is further keen to help the employees to express the best of themselves and to strategically lead the branch. An avid chess player, Cédric lists travelling, cinema, literature and sport – in particular running, swimming and tennis – as his favourite pastimes. After having completed the training programme for future Branch Managers, which he commenced in April 2015 with Cyril Quenneville, Andrea was promoted to the position of Branch Manager for our newly established affiliate AGS Four Winds Cambodia, with effect from November 2015. Andrea started working for the Group in 2011 as a salesman with AGS Movers Singapore. His involvement and profile led Yannick Lothou to recommend him to the Group’s management for a future managerial position. Now alone at the helm of a newly created branch, he hopes to maintain the Group’s reputation and to develop the AGS Four Winds network in the highly strategic South-East Asian zone. Marc Guyonnaud returns to AGS after a 5 year interval working for an international shipping line. His early career experience was gained at AGS Frasers from 2004 to 2010. However, after spending 10 years in Africa, Marc wished to develop his career in Asia. After working at AGS Movers Thailand as Trainee Branch Manager in April 2015 with Peter Elliott, Marc accepted the position to manage the Group’s new branch, AGS Four Winds Myanmar in November 2015. Marc hopes to continue to build upon and to ensure the future success of this newly created affiliate. He’s very excited about being in a country experiencing such strong growth. Soon to become a father and to get married, Marc loves watching movies, playing golf and travelling. During his career prior to joining the AGS Group, Quentin worked in many different locations around the world. Amongst other things, he worked for the French Embassy in Tanzania in 2006, before moving to Johannesburg and then to Dakar. Back in Europe, he worked in Brussels in 2010, after which he returned to Africa where he became Project Manager and Director in Maputo for three years. He has now joined the AGS Group in November 2015. The Group’s international scope with its broad client base are his primary motivations for taking up his new role and joining our Group. This nomination and his family connection with the Comoros motivated the shareholders and our management to entrust him with the management of both branches, since they are geographically close. Quentin has had a recent experience in records management, which will allow both our branches to approach a new clientele and activity. Quentin enjoys spending time with his four children and wife in his free time, so family activities are welcomed. 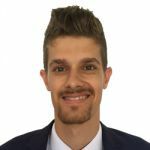 Having joined the Group in January 2015 as Trainee Branch Manager in Mali, Florent Birot took up his new above mentioned position as of December 2015. Before joining the AGS Group, Florent worked in various industries: supply chain management, logistics, sales and client relations as well as supplier management. Florent is particularly looking forward to developing his career in a dynamic context where he can be involved daily in the development of the activities and the continued improvement of the services offered. In his spare time he takes part in jogging, hiking, cycling, squash and swimming. We would like to wish all these new colleagues the very best for the future and we trust that their involvement with the AGS Group will bring them professional fulfillment.